Experience a modern alternative to traditional braces that are ideal for patients that are absolutely 100% convinced that they do not want to wear braces. 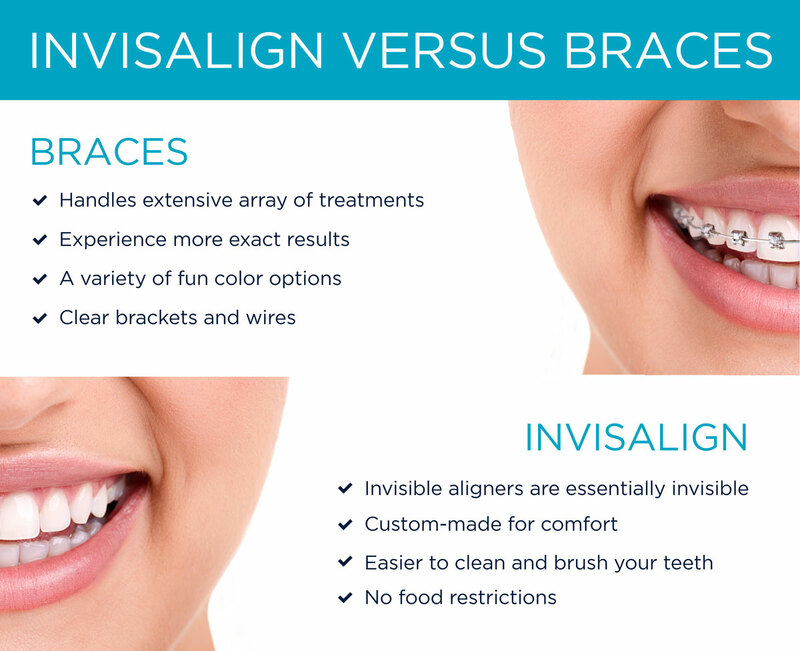 Invisalign allows you to experience some of the benefits of braces while allowing you to continue to brush your teeth as normal and to overall make hygiene easier. Drs. Kirkpatrick and Lai offer clear, or invisible, braces for those who prefer a more streamline look. Clear braces are a great alternative to the standard stainless steel brackets. More and more adults are turning to invisible braces. Conveniently, they use the same adhesive and bonding procedures as metal brackets. Radiance braces are the clear choice with the same control and predictable outcome as traditional braces but invisible. Faster, more precise tooth alignment than the leading invisible aligner with predictable results. Low maintenance. No need to replace costly aligners which can be easily lost. Made from monocrystalline sapphire which makes it the clearest bracket on the market. All of this will create a “Radiant” smile you deserve. Whether they are for you or someone you care about, braces are an investment in your future. But when you are treated here, you are also investing in America. This practice buys its braces from American Orthodontics. For over 40 years, American Orthodontics has been producing 100% of its braces here in America, providing high quality jobs nationwide. American Orthodontics’ products are designed, manufactured, shipped, sold, and serviced by over 400 American employees.